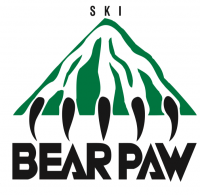 Bear Paw Ski Bowl kicks off its ski season this Saturday and Sunday! First chair will be 10:30 each morning. Bear Paw Ski Bowl is located 29 miles south of Havre on the scenic Chippewa-Cree Recreation Area. Take 5th Avenue South and where the highway ends our slopes begin. Bear Paw Ski Bowl is an all-volunteer community ski area. If you're interested in becoming a volunteer, send us a message on our facebook page.